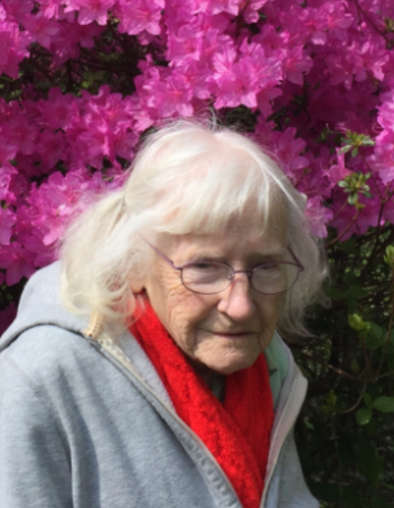 Obituary for Doris Rozday | John Syka Funeral Home, Inc.
Doris Rozday, 90, of Economy, passed away on Friday, October 12, 2018 in Brighton Rehabilitation and Wellness Center, Brighton Twp. She was born November 6, 1927, in Beaver, PA to the late Raymond and Alice (Barr) Webster. Doris was a member of Fellowship Baptist Church, Economy. Her passions in life included craft painting, needlepoint, crocheting , knitting, and spending many hours enjoying her garden. Preceding her in death in addition to her parents were her husband, Eli Rozday on June 24, 2009 and a sister, Elsie Gill. Surviving are two sons, William R. (Beth Ann) Rozday of Frederick, MD, John A. (Ruth) Rozday of England, three grandchildren, Daniel (Elizabeth) Rozday, and Timothy and Samuel Rozday, two sisters, Mary Holman, a resident of Brighton Rehabilitation and Wellness Center and Patricia (Ronald) Poland of Beaver. Friends will be received on Monday from 4-8 PM in the John Syka Funeral Home, 833 Kennedy Drive, Ambridge where a funeral service will be held on Tuesday at 11:00 AM with her pastor, Rev. Bob Harrison officiating. Interment will follow in Economy Cemetery.